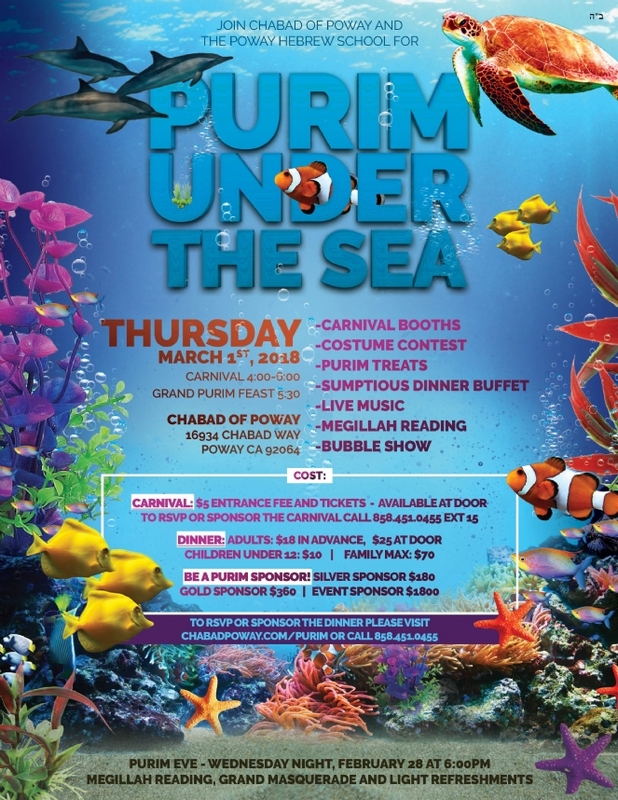 Enjoy a Delicious and Sumptious Purim Feast Under the Sea with the whole family and community! $18/Adult ($25 at door) | $10/Child | Family Max- $70 / Be a Purim Sponsor! Note: This online reservation form is only for the Dinner (and Bubble show, which is included). Tickets for Carnival admission are available at the door.